According to Marketing Metrics, it’s 50% easier to sell to existing customers than to new prospects. Upselling can add a lot of benefit to not only your business, but to your member’s businesses as well. But ultimately, you’re not upselling solely because you want more money or to say you’ve seen your member numbers spike. You upsell because you genuinely believe that the value you’re offering is going to do wonders for users. While yes, you’re still running a business and you still need to find ways to increase your own revenue, you’re not just a used car salesman looking for a quick buck. So how do you upsell your membership levels or additional services without looking like one? Thankfully there are a few ways you can go about promoting yourself to members without looking like a snake oil salesman. Upselling is a sales technique where a seller induces a customer to purchase more expensive items, upgrades, or other add-ons in order to make the sale more profitable. There’s also cross-selling, which is similar to upselling except that a seller will promote a similar but different product or service to the one the customer already uses. Both techniques are effective when used in the right situation. But what, exactly, is the right situation? Well, the right situation is the one that’s most relevant to your member’s needs. 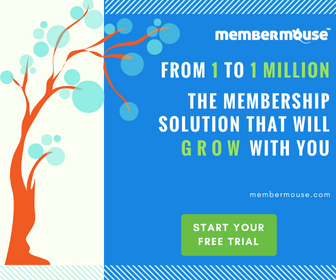 The first thing you need to consider when promoting your product, service or a next-tier membership level is whether it relates to what the member needs. If they’re coming to you for help building a website, don’t immediately try to cross-sell them on using your client-management software. However, if they’ve been coming to you to build their website, and they start complaining about their own client’s unnecessary site demands, then your add-on software instantly becomes relevant. The keys to upselling are relationship and timing. You have to start with a rapport and assess needs as you go, but once you know that they’re curious, take every opportunity you can to tell them about what you can offer. The other benefit of taking a slow-burn approach to upselling is that you’re less likely to come across as a money-hungry company only out for their own bottom line. In addition to being relevant, your upsell needs to offer something of genuine value. If you sell websites, but those websites don’t convert, then your members aren’t really getting what they paid for. If you sell client-management software, but it doesn’t actually help people manage their client workflows and relationships, then you’ve definitely become the modern-day equivalent of a snake oil seller. The first step in the upsell process is really to have something of practical value that is both needed and wanted in the market and industry to which you’re selling. Once you have that (which we assume you do), it comes down to helping your members understand just what that value looks like in their lives. Graham also notes that it’s about valuing what the customer values. When you’re upselling, you want to communicate to users that their upgrade comes with a lifetime value that matters to them, not just a temporary transactional value. Think of your membership upsell in terms of other forms of upselling. For example, there’s a reason that some of the more popular mobile apps are free but also include “in-app purchases.” App developers understand that once someone loves using your app (they find it relevant) and understands the benefit it provides them (they know its value), they’re already primed to add another $0.99 feature that will help them even more. The key to the success of in-app upselling is that it’s super easy for the user to do. In fact, many apps have frequent pop-ups that tell users about what they can get for a few dollars and a big shiny button they can click. Smartphone technology lets you purchase these add-ons without having to enter in your credit card information, so you can buy anything you need with a few clicks. It’s a genius technique. But what does it have to do with your membership business? Well, the takeaway here is that once you’ve provided enough value or social proof to your members, they’re already hooked. Therefore, the easier you can make the upsell for them, the more likely they are to agree to it. Instead of saying, “We’ll show you how to get started using our XYZ product,” say, “We’ll automatically set that up for you and you won’t have to worry about a thing.” At this point, they’re getting a great deal with little effort. Of course, not every upsell is actually worth the effort, which is another thing to keep in mind. The ultimate goal of any business – especially a membership business – is to keep your customers around long enough to have a genuine relationship with them. While sometimes that means looking at valuable offerings you can add to their toolbelt, other times it might mean stripping back to the basics to give them what they really need – in other words, downsell. Offering them a cheaper solution or alternative that doesn’t include all the bells and whistles of the original can actually help you increase conversions in some cases, especially for those picky or hard-to-please people. And if the ultimate goal is to build a good long-term relationship, you will find a lot of favor with members by helping them save a penny, too. Just be sure that your downsell offers them what they need. The last thing you want is to offer them something of little actual value. Upselling is a great way to add additional revenue to your business while providing something of value to your member base. But that doesn’t mean you have to sell to everyone all the time, and it certainly doesn’t mean that you have to be desperate about it. Upselling is about forming relationships with your members, understanding what they truly value and what they really need, and offering them something that will provide benefit over the long term of their relationship with you. And don’t be afraid to offer them something different if you think that less is more. Here are some of the most successful phrases to use when speaking with members about upgrading. Subscribe for this free resource!